I will be doing this in three parts, Face Base, Cheeks, and Eyes & Lips. This is the Face Base post. This post is going to cover the brushes that are typically used for applying products intended to make your face one color. All of these brushes can be used wet or dry, with liquids and powders. All of these brushes are used with skin toned products to make your skin one color. They are intended for the same use so what I’m going to do in this post is describe what these brushes look like and list the main thing they are intended for. Foundation brushes are typically flat triangle shaped brushes. They are mainly used for applying wet foundation and other wet face base products. You can use them for whatever you’d like, of course. I tend to use foundation brushes for highlighting. Buffing brushes are typically rounded tightly pack “fluffy” brushes with a flat like top that is slightly rounded. These brushes are also typically used for wet foundations and other wet face base products. I love to use my Real Techniques buffing brush for foundation. The tight packed bristles are great for wet face base products. I find tight pack brushes aren’t as great for powdered products. A beauty blender is a sponge that comes in lots of shapes and colors. They are almost always about the same sizes. A little bit smaller than your fist. Beauty blenders are used to apply a light amount of foundation when used in a brushing motion and applies more when you blot the foundation on. I personally have never used a beauty blender but I really want to try the Real Techniques one. Concealer brushes are like half sized foundation brushes. These brushes are used for concealer, of course. Typically concealer brushes are use just with concealer, but I like to use a one brush for all my concealer than a second brush to apply powder foundation under my eyes, just to make sure I got it in there. Powder brushes are typically rounded fluffy brushes. Some can be tapered to a point in the middle. And some can be like a looser packed bluffing brush. And some of very round almost like a circle on a stick. They also come in many sizes. Powder brushes are typically used for applying powder foundation on specific parts of the face or just all over. I powder brushes for powder foundation, blush and other things. Mineral brushes are just like powder brushes. The bristles are just packed differently for loose mineral powders. A stippling brush is typically a round brush with tight packed bristles that is completely flat on the top. It is used with wet foundation to create an “airbrushed finish.” I personally don’t really use stippling bushes. Detailer brushes are like really really tiny foundation brushes. They are typically used around the eyes. But I also use them to touch up my foundation and powder around my lips after I apply lip products. I’m so pale that after I apply certain colors of lip stick it looks like I have no face base products around my lips. I think I got all of the face base brushes. I hope this helps you on your next trip down the brush aisle. This is part 1 it this little brush series. I decided to break this down into three parts. Part 2 will be up shortly. This is also a post in my Beauty Basics series. 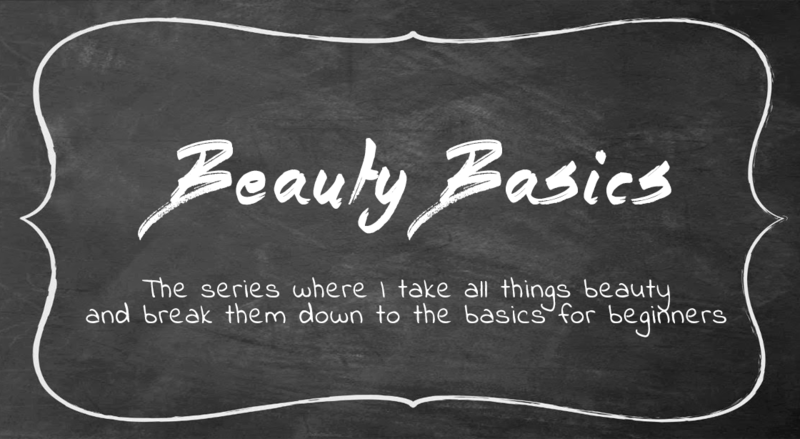 I’m breaking down the basics of makeup and beauty for beginners. I’m not a makeup vet but I’m not a beginner either. You can find my last Beauty Basics post here. It was a Well Known Brands Guide. A guide to what’s drugstore and what’s high-end.